On January 29th, some folks in New Jersey mistook loud rumbles and rattling windows for an earthquake. Turns out it was just a sonic boom—a thunder-like noise heard by earth-bound ears brought on by an aircraft flying overheard at supersonic speeds. The boom was a reminder to certain East Coast residents of the offshore Atlantic Test Range, a restricted airspace used for aircraft testing and training missions located in the Chesapeake Bay area off the coast of Maryland, Delaware, and Virginia. Supersonic test flights take place here just about every day, but rarely do the sonic booms reach land. How, and who, is regulating supersonic flight? The first aircraft to break the sound barrier—flying faster than 660 miles per hour, or the speed of sound at cruising altitude (768 miles per hour at sea level)—was piloted by Chuck Yeager in 1947. Russia’s Tupolev Tu-144 and the Concorde became the first civilian aircrafts to do so in the 1970s, although by that time sonic booms had become a known nuisance in the U.S. Currently, overland supersonic flight is banned in the U.S. and Europe, though there are testing ranges, such as NASA’s Armstrong Flight Research Center in Edwards, California, where pilots are permitted to make supersonic flights over the desert. A sonic boom, according to NASA, happens when the air reacts like a fluid to supersonic objects, and the force created by objects pushing aside air molecules as they travel through the air forms a shock wave, much like a boat breaking the water. Sonic booms come about when the cone of pressurized air from the shock wave is released, resonating like a clap of thunder. There’s no difference in sound inside the aircraft, since the whole shockwave system is moving along with the plane. If we aren’t hearing sonic booms regularly, that’s because a lot of effort and coordination go into making sure the booms don’t disturb civilian ears. William Couch, Public Affairs Officer for the Naval Air Warfare Center Aircraft Division at Patuxent River, Maryland, oversees testing of Navy or Marine Corps aircraft and new systems in development. He explains the steps that his division takes to avoid unwanted booms: first, a flight plan is reviewed and approved by each squadron’s chief test engineer and the commanding officer to look at the direction and speed the aircraft will be traveling and whether it’ll have to turn. They might try changing its course so that it’s not pointed at land, if possible, and also look at the weather forecasts. Sound travels further when the air is higher density (cold and wet) and slower in lower density (warm and dry), since it takes more energy to get to the next molecule. Couch’s squadron has a noise management team in the case that a complaint comes up. They check to see how their plane flew and whether they could have adjusted its course or flown farther offshore, a discussion that takes place among senior leaders in the test wing. Sometimes when there’s a boom, NASA is even brought in to help the Department of Defense figure out whether an airplane could have caused certain damage. Peter Coen, project manager of Commercial Supersonic Technology at NASA’s Langley Research Center, says that NASA has computational tools that allow them to determine where the sonic boom is going to hit. They take information such as temperature, relatively humidity, and wind speed and put it into a computer code; if that shows they’re going to hit a housing area, they can adjust their flight track to minimize the exposure of people on the ground to the booms that they’re using for their research. They’re also working on a device that shows where the acoustic rays that create the boom are going to go once when they leave the airplane. Right now, a pilot can’t anticipate the location of the boom left in her wake, but soon she’ll be able to adjust her flight plan to ensure that the boom or thump is heard by as few people on the ground as possible. Regarding sonic booms, NASA and the military have very different priorities—and budgets. While supersonic flights take place every day in the Atlantic Test Range and other training zones, Coen’s team does only one or two test campaigns per year. Coen explains that the air force is trying to minimize their radar and heat signatures, making them less susceptible to weapons, but is not particularly interested in reducing sonic boom. (If you’re flying supersonic, by the time people hear the boom, the airplane’s already gone past.) For NASA, however, that’s the primary goal. Some have raised concerns that the pressure waves brought on by the boom might trigger avalanches and earthquakes or even disrupt surgical procedures. However, according to NASA, these are not factors even with large booms like the recent one in New Jersey. 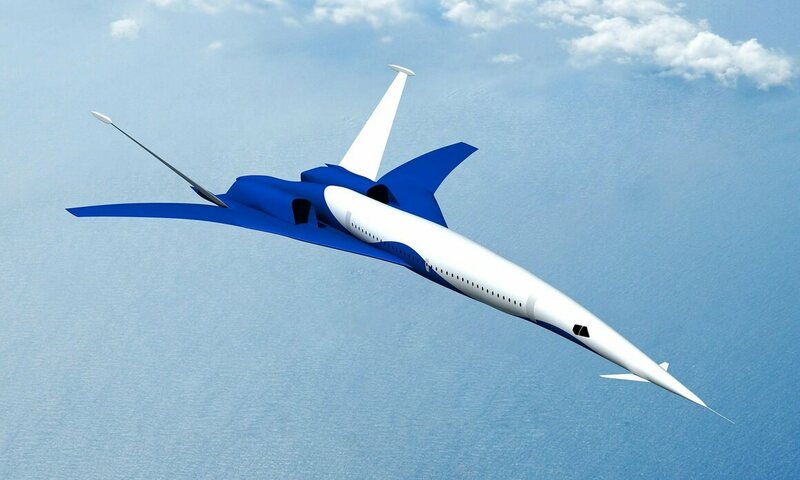 Only recently has interest in viable supersonic commercial flight been rekindled, with $2.3 million of funding going into NASA’s Commercial Supersonic Technology Project in June 2015. Reducing sonic booms is the biggest hurdle, but a low-boom supersonic jet is on the near horizon. NASA is busy with all kinds of tests involving both aircraft design and human noise tolerance; they’re currently working to make supersonic aircraft quieter, lighter, more efficient, and more economically feasible than the Concorde was while also trying to identify a loudness level that’s acceptable to both the Federal Aviation Administration and the public. They’re doing more supersonic research than at any other point in the last 10 years. Update, 2/15: An early version of this article stated that the Concorde was the first commercial supersonic transport. Instead, it was the Tupolev Tu-144, which flew mail and freight starting in December 1975. However, the Concorde was the first to fly passengers, in January 1976. It's very easy to lose things on the International Space Station. Did 3 NASA Astronauts Really Hold a 'Space Strike' in 1973? Digging into a legendary moment in the history of extraterrestrial labor. Alice King Chatham's name is attached to some of the world's most pivotal aviation and space experiments. Places left behind by Americans and Soviets in the race to the stars.